The big box office numbers reported for the martial arts movie "Ip Man 3" were just too good to be true, Chinese authorities say. The country's film industry regulator has said the distributor, Dayinmu Film Distribution, faked box office receipts to exaggerate the takings for the movie, which stars former boxer Mike Tyson and Hong Kong actor Donnie Yen. The film was reported to have generated an eyebrow-raising 500 million yuan ($77 million) in sales in its first four days in China. But not all of that was above board, authorities say. "The conspirators fabricated more than 7,600 screenings of the film that they claimed generated 32 million yuan in ticket sales," China's official news agency Xinhua reported Saturday, citing a statement from the film regulator. Dayinmu also admitted to having bought tickets worth 56 million yuan itself, the report said. Authorities have suspended the company's distribution license for a month while it addresses the "malpractices," the film authority said. Dayinmu, which is also known as Beijing Max Screen, didn't immediately respond to a request for comment Monday. Warnings were also issued to three electronic ticket-selling groups and 73 cinemas, the regulator said. The crackdown on the fake sales for "Ip Man 3" comes at a time when China's fast growing movie business has been setting new records, including its biggest box office takings in a single day. The country's monthly box office sales beat those of North America for the first time in February. 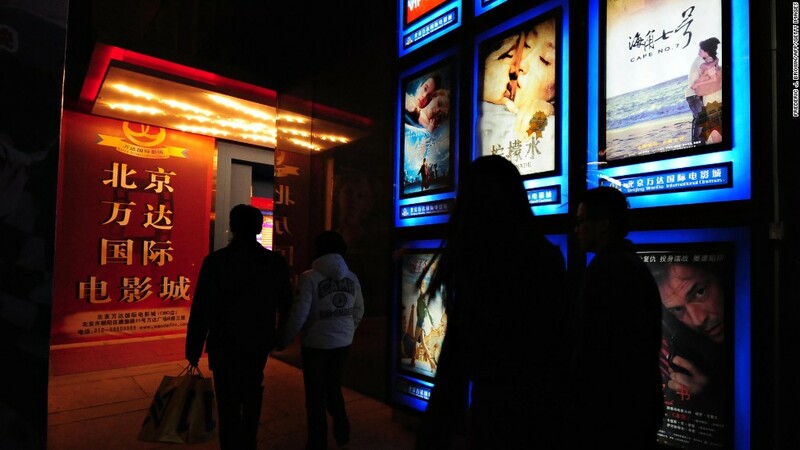 Authorities have been working to clamp down on fraudulent box office sales and unlicensed copying and recording of films, according to state media.